The FARC dissident group operating along the porous Colombo-Venezuelan border has corrupted elements of the Venezuelan government and police, as it solidifies control over drug trafficking routes. 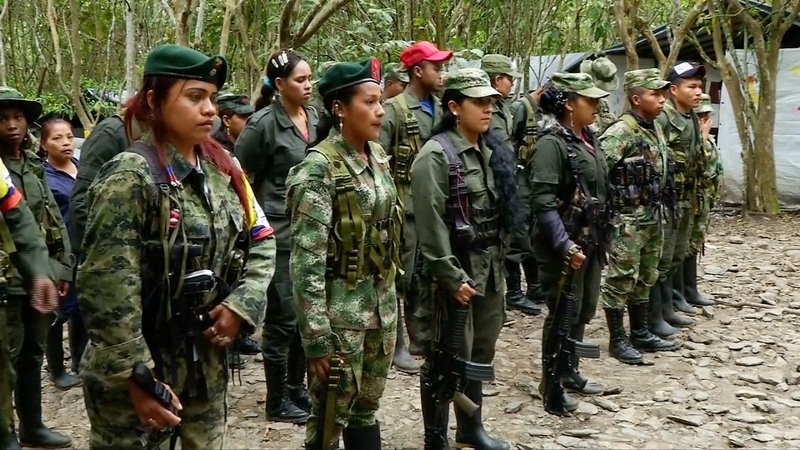 FARC dissident groups are thriving in southern Venezuela, in the vast Amazonas state (YouTube). Dissidents from Colombia’s Marxist rebel group the FARC are now building a powerful criminal network on the border with Venezuela, said a military source high in the ranks of the Colombian military. These dissident groups rejected the peace process initiated by former president Juan Manuel Santos and have returned to the lucrative drug trafficking trade. Miguel Botache Santillana, alias “Gentil Duarte”, is now one of the dissidents of the former guerrilla group most wanted by the authorities. He has now assumed a position as top leader of the group that currently operates in eastern Colombia. He is perceived to be such a threat that the administration of current president Iván Duque is offering a reward of 2 billion Colombian pesos (approximately USD $640,000) for his capture. According to military intelligence, the guerrilla leader has sough shelter since November of last year in the vast expanses of the southern Venezuelan state of Amazonas. “Gentil Duarte” is coordinating the shipment of cocaine that is processed in Colombia and then deals directly with Mexico’s Sinaloa Cartel, and various drug trafficking elements in Brazil. “This is facilitated with the complicity of the Venezuelan National Guard, which controls shipment routes allowing for transportation of tons of the alkaloid,” said an intelligence source of the Public Force to Time. As a form of payment, the guerrilla leader receives long-range weapons, which enter Colombia in order to provide military support to dissident groups in southeastern regions of Colombia, including Guaviare, Guanía, Vichada, Putumayo, and part of Meta. Different investigations have indicated that these weapons enter the black market from the weapons caches of the Bolivarian National Armed Forces (FANB). Another strategic ally involved in the purchase of weapons is Syria. The dissidents, according to the investigation, have taken advantage of the crisis in Venezuela to gain strength in exchange for food, clothing, protection, and small cash payments. In this realm, Géner García Molina, alias “Jhon 40”, who serves as a lieutenant of “Duarte”, plays a key role in the area. For more than two years he has been based in Venezuelan territory where he has been able to consolidate an armed structure that numbers close to 300 men, the majority of which are Venezuelans. He is known to have considerable experience that he inherited in the ranks of the FARC guerrillas, which includes moving the product for ultimate expert. He has extensive strategic knowledge of the river corridors that lead from the states of Vichada and Guainía to the state of Amazonas in Venezuela. Under his command, he enjoys extensive control of drug trafficking routes, as well as illegal mining, especially the region which has been called “the mining arc of the Orinoco,” where experts estimate that Venezuela may have its largest reserves of gold, as well as the lucrative mineral coltan. “Duarte” was involved in the dialogues in Havana, but decided to depart from the process because interpreted the abandonment of weapons as a surrender on the part of the guerrillas. Given the current unease that several high-ranking FARC members have expressed with the peace process, including Iván Márquez and “El Paisa”, it has begun to be speculated that the dissidence may be preparing “Plan B” of the FARC in case the implementation of the agreement fails. The FARC has longstanding ties to both Hugo Chavez, and now Nicolas Maduro, and has been able to maintain a powerful role in the lawless border regions, where Colombia and Venezuela traditionally have little government presence.